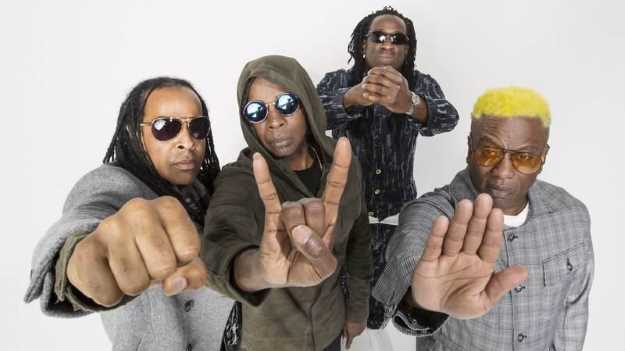 Grammy Award-winning rock band Living Colour is releasing its first studio album since 2009. “Shade” drops Sept. 8 by Megaforce Records. Living Colour released singles including “Program” and “Come On” earlier this year to draw buzz. The group will perform 7 p.m. Saturday at the Downtown Hampton Block Party to test its experimental sound before it heads to Europe for a small tour. Living Colour vocalist Corey Glover said the new album has a blues inspiration that began when the group performed a tribute to blues legend Robert Johnson at the Apollo Theatre in 2012. According to Glover, it took the band about five years to write, record and finish “Shade.” He assured fans that long wait was worth it. “We had a mandate to ourselves to really get this right and to really get it to where we could really hang our hat on it and it said exactly what we wanted to say, it sounded exactly how we wanted it to sound,” Glover said. The new record is the band’s version of the internal and external struggle that the blues genre represents, presented from its perspective. “Shade” is the group’s sixth studio album. Living Colour formed in 1984 in New York City. The four-man band won for Best Hard Rock Performance at the 1990 Grammy Awards. They took a break between 1995 and 2000, but have been performing together for about 30 years. Members include guitarist Vernon Reid, drummer Will Calhoun, bassist Doug Wimbish and Glover.